The B-10, also known as Ronda Litoral (Catalan: [ˈrɔndə ɫituˈɾaɫ], Spanish: [ˈronda ljtoˈɾal]; English: Coastal Ring Road), is a 20-kilometre (12.43 mi) freeway in Catalonia, Spain partially encircling Barcelona passing through the eastern side of the city. It starts at Nus de la Trinitat interchange in northern Barcelona and runs along the entire length of the Besòs River and the city's coastline south to Nus del Llobregat interchange in Barcelona's southern suburbs, where it becomes the Autovía A-2. Both north and south end interchanges link the freeway to the B-20 or Ronda de Dalt, which encircles Barcelona passing through the western side, jointly forming a beltway commonly referred to as the rondes that surrounds the city. The freeway features a mix of below-grade, at-grade and covered tunnel sections, mainly as it passes through central Barcelona, where it is only two lanes in each direction while the other sections are three lanes. It becomes a segregated urban highway as it passes through central and northern Barcelona so that all its signposting becomes green and is maintained by local authorities. In contrast, the southern section of B-10 is considered to be part of European route E90 and is signposted in blue following the formal colour scheme for motorways since it serves as a continuation of the Autovía A-2. In addition, unlike the rest of the route, this section is named Cinturó Litoral and is maintained by the Spanish Government. Although the speed limit is 80 km/h (50 mph) along the urban freeway section and 100 km/h (62 mph) along the interurban section, car's average top speed is lower due to traffic congestion as it serves as an arterial corridor to access Barcelona by road, and even average top speed may reach 20 km/h (12 mph) during rush hour. Additional restrictions for heavy goods vehicles are applied on the section situated between Montjuïc–Morrot and Rambla de Prim near Sant Adrià de Besòs, whereby weight limits is posted 12 tonnes and all vehicles over 12 meters long are banned from that section. Exits on the rondes are numbered 1 to 30 anticlockwise from Nus de la Trinitat according to the beltway that Ronda Litoral (B-10) and Ronda de Dalt (B-20) freeways form around Barcelona so that exits on Ronda de Dalt are officially numbered 1 to 16 (southbound), while on Ronda Litoral are numbered 17 to 30 (northbound). Strangely enough, while the entire urban highway section follows the exit numbering scheme of the rondes, the interurban section that is maintained by the Spanish Government does not and exits on this section are numbered 13 to 19 following its own scheme. In addition, route markers are placed north–south in relation to Nus de la Trinitat, where the road's "Kilometre Zero" is placed, on the contrary of the exits' numbering. 4.3 2.6 24 Diagonal Mar Rambla de Prim, Passeig de Garcia Fària, Sant Adrià de Besòs Southbound exit only; northbound exit is via exit 24 named "Besòs"
Barcelona 6.0 3.7 24 Besòs Rambla de Prim, Diagonal Mar, Port Fòrum Sant Adrià Northbound exit; southbound exit is via exit 24 named "Diagonal Mar"
↑ García-Tornel García-Camba, Lorenzo (September 2009). "Análisis del envío de equipos de emergencia para accidentes en las Rondas de Barcelona" (PDF) (in Spanish). Polytechnic University of Catalonia (UPC): 31. Retrieved August 31, 2012. ↑ "Provincias de Barcelona, Girona y Tarragona" (in Spanish). Centro de Estudios y Experimentación de Obras Públicas (CEDEX). Archived from the original on June 26, 2012. Retrieved August 31, 2012. 1 2 "Resumen provincial de la RCE 2010" (PDF) (in Spanish). Ministerio de Fomento. 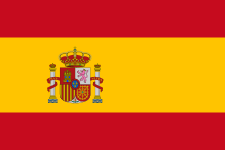 Gobierno de España. 31 December 2011: 3. Retrieved January 19, 2013. ↑ "Alberto Fernández reclama a la Generalitat que es faci càrrec del manteniment de les Rondes". Alberto Fernández per Barcelona (in Catalan). People's Party of Catalonia. 8 November 2012. Retrieved December 7, 2012. ↑ "Conveni de col·laboració en el manteniment i conservació de les rondes de Barcelona i del tram municipal de la Gran Via nord" (PDF) (in Catalan). Generalitat of Catalonia. 14 May 2012. Retrieved February 10, 2013. ↑ "Mapa de velocitat als accessos a Barcelona". Servei Català de Trànsit (SCT) (in Catalan). Generalitat of Catalonia. Retrieved August 30, 2012. ↑ Carreras Cantera, DC. "Anexo C. Estudio de la congestión del RACC en los corredores de acceso a la ciudad de Barcelona" (PDF) (in Spanish). Polytechnic University of Catalonia (UPC): 10–11. Retrieved August 31, 2012. ↑ "Anunci dinformació pública sobre la circulació de vehicles pesants" (in Catalan). Derecho.com. 8 November 2010. Retrieved August 31, 2012. ↑ "Guia Urbana de Barcelona" (in Catalan). Ajuntament de Barcelona. Retrieved February 10, 2013. ↑ Google (February 10, 2013). "Overview Map of B-10" (Map). Google Maps. Google. Retrieved February 10, 2013.